Already well invested in off-shore wind, North Wales has long been at the forefront of renewable energy with support from the Welsh Assembly. But, with the recent development of a solar farm at Kinmel Bay on the coast, could the region now be embracing solar power much more? It’s hoped that the 24 MW array just off the A55 coastal road will provide power for more than 5,000 homes when it is completed later this year. It will cover an area equivalent to some 60 football pitches and is providing 100s of jobs during construction which is now well under way. The project is being delivered by Haymaker Energy despite some objections from locals in the Kinmel Bay area. The company is interested in the coast of North Wales because there is a higher level of sunshine than further inland. They were also attracted by the fact that solar had yet to get a foothold in the region and have ensured the land will still be used for grazing sheep, its current primary purpose. 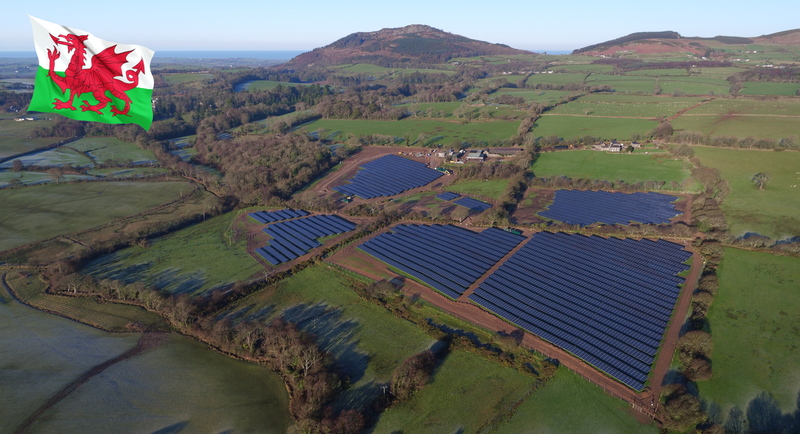 There are a number of proposals for solar farms in the North Wales area including for Anglesey, Deeside and Gwynedd. A 270-acre site was approved in Deeside with renewable company Atem Solar back in 2014 which could produce over 47 MW and would be one of the biggest sites in the country. Plans have also been submitted for Wales’ largest solar farm at Llanbadrig which could provide power for 15,000 homes. Wrexham Council have taken the plunge with solar and a new farm capable of producing 2,300 MWh per year will provide enough power for some 700 homes. Despite the current cuts in Feed in Tariff subsidies by the Government, it seems that solar power is moving forward in North Wales. It’s not all good news though. A recent proposed site for two farms in Sealand, Flintshire, were refused planning permission because of the effect they could have on agricultural land. The coast of North Wales already has plenty of experience of wind power, another popular renewable technology in the region. Gwynt y Mor is the second largest off shore wind farm with 160 turbines producing enough power for 400,000 homes and which provided 2,500 jobs during construction. The addition of solar farms to the mix could mean that North Wales becomes a hub for renewable energy for many years to come. Previous PostPrevious Is Confidence Ebbing Away for EDF’s Hinkley Point Power Station? Next PostNext Ikea Start Selling Solar Panels, Again.